In this research report, a middle school student writes about one of the wonders of the ancient world. The Great Pyramid is huge. It is located in Giza, Egypt. It is 481 feet tall and takes up 13 acres on the bottom. It is taller than the Statue of Liberty. The pyramid is made of sandy blocks with limestone and granite. Each block weighed about 2.5 tons. It took 2,300,000 blocks to build it. Inside the Great Pyramid there are 4 chambers. There is the King’s Chamber. It is the highest chamber in the pyramid. Next is the Grand Gallery. The Grand Gallery is 158 feet long and 28 feet high. Then there is the Queen’s Chamber. Last there is the lowest chamber called the Subterranean Chamber. It is located under ground. The Great Pyramid was built around 2600 B.C.E. It took 20 years to build it. In that 20 years every time the flooding season came the workers stopped working to help trap water and farm. There were 100,000 workers who built the Great Pyramid. Many of them died while building it. It was a tough job. When they were finished building the Great Pyramid they put a hard caseing over it. The caseing protected the Great Pyramid so it could last even longer. Right now the Great Pyramid is still standing. Acheologists say there are still some chambers in the pyramid that haven’t been discovered. 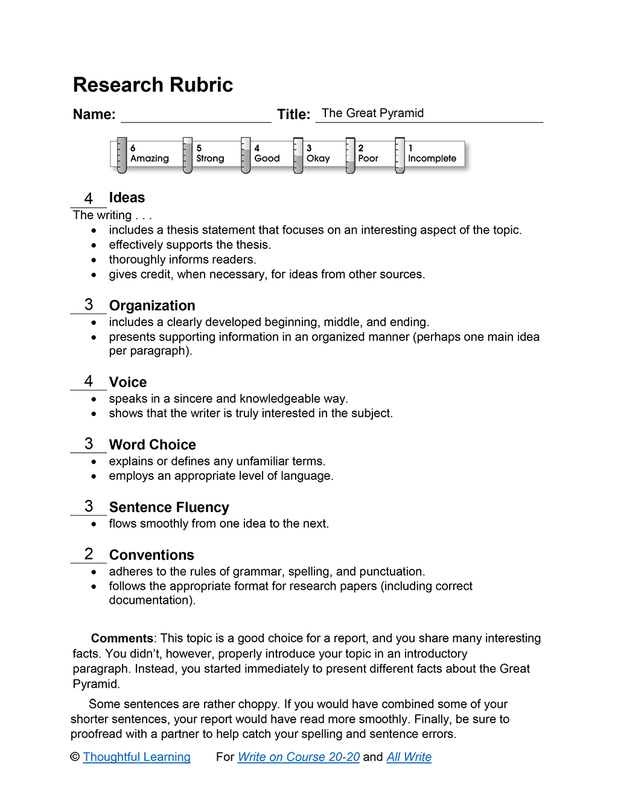 The Great Pyramid by Thoughtful Learning is licensed under a Creative Commons Attribution-NonCommercial-ShareAlike 4.0 International License. Based on a work at k12.thoughtfullearning.com/assessmentmodels/great-pyramid.